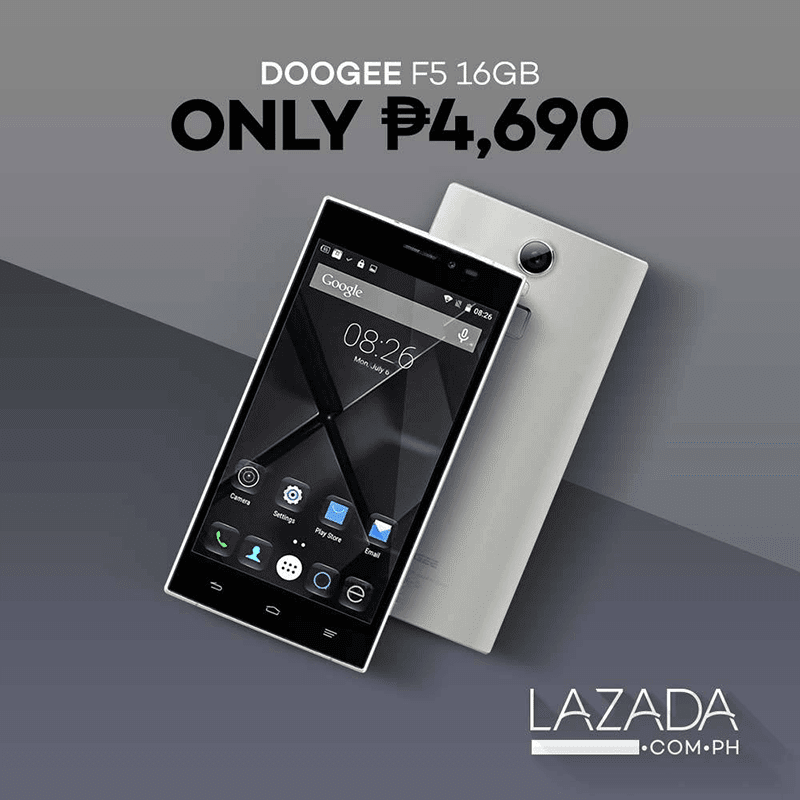 Doogee has a new phone at Lazada Philippines, the Doogee F5. It's a liquid morphium metal clad Android smartphone with 3 GB of RAM in the sub PHP 5K range. In case you missed it, the Doogee F5 is an entry-midrange handset with entry-level price tag. It's equipped with a 5.5 inch FHD screen, 1.3 GHz 64 bit octa core chip, 3 GB RAM, 16 GB expandable storage, and 2,660 mAh of battery capacity. It also has a 13 MP main camera with AF and LED flash. There's a 5 MP front facing camera for selfies. Moreover, it has LTE, fingerprint scanner, and dual SIM card slots. The catch? It's still on Android 5.1 Lollipop OS. But, that's forgiveable for a phone with 3 GB of RAM and metal body for PHP 4,690 only.